Shades of white are also seen in the cabin, from the ceiling to the floor. 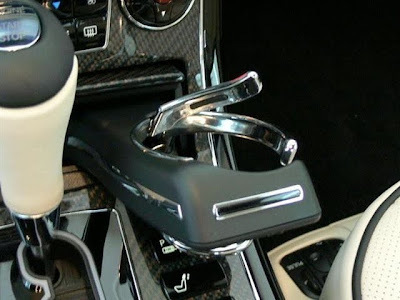 Maybach engineers have also made these cars so strong, side walls made of steel structures. This car also has a rear window. At the time the roof is open-closed by the operation of a switch button on the main counsel, rear window that come folded. The roof will be moved by electro-hydraulically within just 16 seconds. At the same cabin, DVD player with 6 CD changer complete available. Similarly, cooling himself with an electric compressor plus a very smart system to place the glass, goblet (the drink), and the bottles are safe sampagne in position. This passenger might be difficult to distinguish the atmosphere when the Maybach Landaulet and boarded a private jet aircraft. This car is very comfortable. In fact, when the tires deflated. 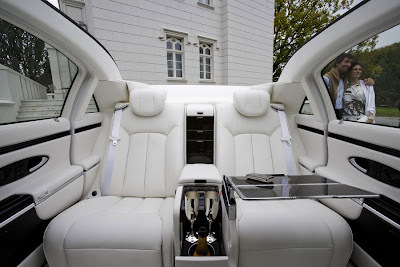 Maybach engineers are able to make moves Landaulet stable with speed 150 km / h in a deflated tire condition. Maybach 62S engine has a cylinder capacity to 5.5 liter V-12 configuration. Engine power was also equivalent to 550 horsepower at 5250 rpm. Then, reaching maximum torque of 663.8 lb-ft at 2300 to 3000 rpm. The maximum speed of this car to reach 325 kilometers per hour. Acceleration time from 0 until the speed of 100 kilometers per hour is also okay, just 5.4 seconds. Very short for the size premium sedan salon. Remarkably again, as loud as vehicle speed can be balanced by a qualified comfort. Understandably, Landaulet sustained suspension of water systems electronically by Airmatic DC (dual control) and adaptive damping system (ADS II), which makes the car's speed remained steady and stable in even the highest speed. But, the price of this car is also clear kenceng. 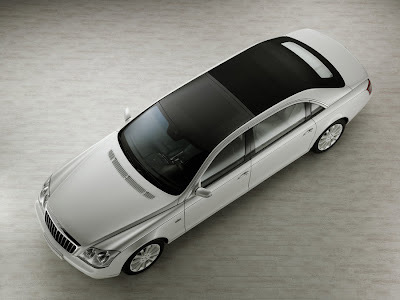 Maybach 62S alone was valued $ 500 thousand per unit (about Rp4, 6 billion). 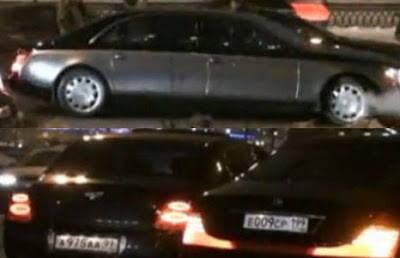 Maybach is the tradition of expensive and exclusive cars. Landaulet study is to continue the tradition. This car is, reportedly, will be limited only by 20 units. Maybach 62S Landaulet Base taken from is also very famous and exclusive. Landaulet once again shows the extraordinary work of art in the form of a car. The roof on top and shining white can open the lid (Cabriolet) in full to the back. Thus, passengers can comfortably enjoy the beautiful scenery of blue sky. So romantic. This car is great emphasis on the concept of shining white. 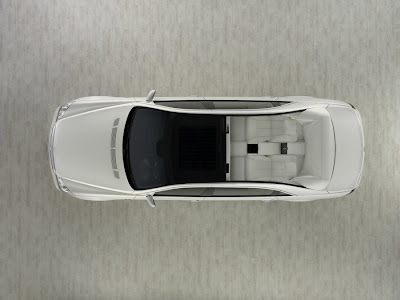 The white color on the body Landaulet named antigua white. 20-inch wide rim on this car is also designed and painted white. These tires are equipped with a white border.